If you’re a well-known local business owner, one of your online goals should be getting more local reviews from your (satisfied) customers. 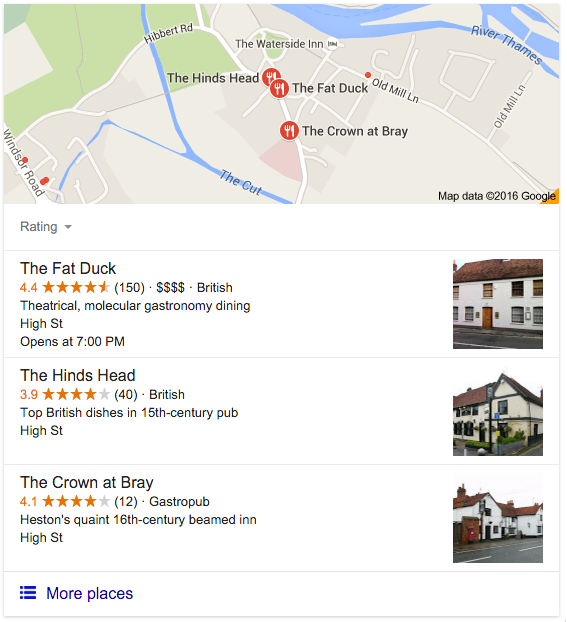 These reviews or ratings help Google in determining the value of your company for their users. If you have a nice amount of four-star and five-star ratings, Google considers you a more valuable result on their search result pages, which contributes to better rankings for your site. Today, we’ll dig a bit deeper into these local reviews and convince you to ask your customers for reviews. 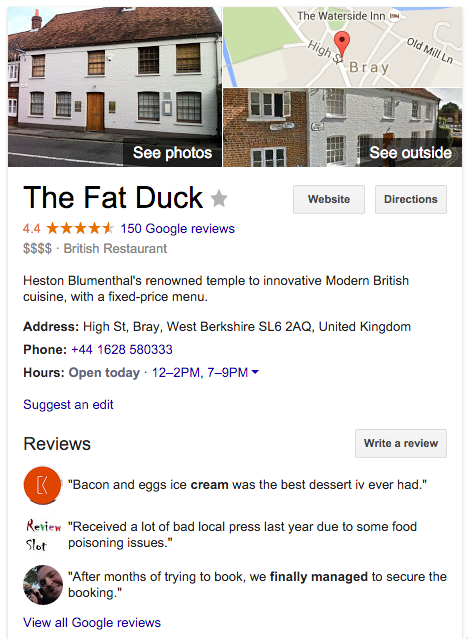 First, let’s see what Google has to say about local reviews. On their review datatype page, they clearly state that Google may display information from aggregate ratings markup in the Google Knowledge Cards with your business’ details. Ratings and reviews must come directly from the users. There is a difference between these user ratings and critic reviews (human editors that curate or compile ratings information for local businesses). That’s a different ball game. Don’t copy reviews from Yelp or whatever other review site, but collect them from your users directly and display these on your site. There is a clear focus on genuine reviews. Add name, position, photo and any other relevant, public information on the reviewer. That always helps in showing that your reviews are indeed genuine. It’s really that simple: ask your customers for a review. Yelp may advise against this, Google promotes it (Source: SEL). I agree with Google on this. A friend of mine is in the coaching business and he asks his customers after finishing the coaching process to leave a review on his Google My Business page. This, plus obviously an optimized site, has helped him achieving a local #1 ranking. It might feel a bit odd, to ask your customers for a positive review. However, I bet most of your customers will be more than happy to do this for you. It’s a small token of appreciation for your great service, product or your friendly staff. If you believe in your business, and you’re taking extra steps to help your customer, your customer will for sure leave that review for you. Especially in local businesses, where you know your customer and perhaps have been serving him or her for decades, just ask. Feel free to ask your customer for a review on your website, for example, right after a purchase. If a customer wanted your product so bad he or she made the purchase, they may be willing to leave a review about their shopping experience as well. Even a simple “How would you rate your experience with our company” could give you that local rating you want. And why not leverage Twitter here? I find Twitter to work pretty decently for local purposes. There’s a separate ‘community’ of tweeps talking to each other on Twitter in our hometown. I’m sure most of them visit local stores. Not just that, but they’ll probably also have an opinion on these stores. And they might just be willing to share that opinion. Facebook is an awesome opportunity for any local business to get reviews. Don’t underestimate how many people search for your business on Facebook. As mentioned in the section about Google and local reviews: “Don’t copy reviews from Yelp or whatever other review sites”. The same goes for these Facebook reviews. It’s very nice to get them, but leave them on Facebook (or use them in your offline print campaign) and get separate local reviews for your website. Even negative reviews matter. Don’t feel bad when you get one, feel motivated! Asking for reviews, for instance, right from your (support) email inbox, like in the signature of your email, might feel a bit strange at first. However, it will trigger your brand ambassadors to leave a review, after seeing that signature email after email. And yes, you will get some negative reviews as well from people that are not completely satisfied with your product or service. And you want these. Negative reviews give you a chance to go beyond yourself in showing how customer-driven you are. They allow you to fix the issue this customer has. After fixing it, ask them to share the solution / their experience with your company, so others can see what you have done to turn that disappointed customer into a satisfied customer. It’s your job to make your customer happy, and good reviews will follow. Speed up that process by asking your customers for their feedback! Right after an online purchase by a customer, an important marketing opportunity arises. At that moment, someone chose to buy a product on your website. Seize that moment! In this article, we’ll go over a number of things you can do to turn these online customers into brand ambassadors. It’s so easy to leverage that new or returning customer right after his or her purchase. For instance, you could simply ask the customer, who obviously had an awesome experience shopping on your eCommerce site to promote your shop for you. Here’s how! 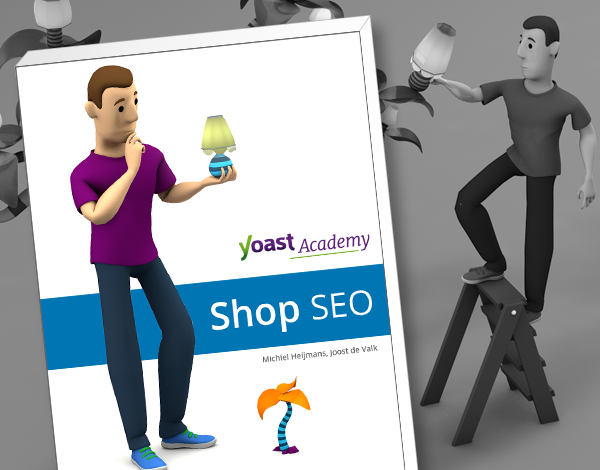 If you ask your customer to promote your shop online, make this as easy as possible. Social sharing can be done in two clicks: You’ve already created a great Thank You page, and all you have to do is create some social sharing buttons for your favorite social platforms. Ask your customer to ‘Spread the word’ or ‘Recommend us’. Clicking the tweet or share button will open a box with a predefined text about your shop, a link to your shop. 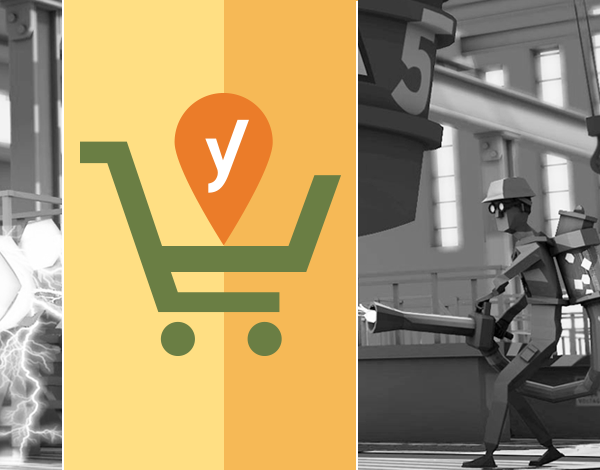 Personalize it by adding the product name (“I just bought Product X on yourshop.com – it’s awesome!”). If the text is predefined, it’s literally two clicks that your future brand ambassador will be willing to make. Next to adding testimonials on your website, you should also ask your customer to leave a product review on larger review sites. Think along the lines of TripAdvisor (hotels and restaurants), GoodReads (books), Yelp (any local business). I have been camping in Denmark, and there were TripAdvisor signs everywhere telling me about the (obviously) good rating they had, and asking me to leave my own review. After a purchase, or in the confirmation email you send, I think it’s totally OK to ask a customer to leave his two cents. Not only will this help your brand in case of a positive review, it will also help you monitor things you can still improve upon. Even online, you must strive to be that nice neighborhood shop, where you know your customers by name. Perhaps not all of them in the case of thousands of customers, but at least f.i. the largest 10% of them. That means investing back in these customers. Sending them a birthday present, adding extra incentives or discounts, things like that. Show them you appreciate them as a customer. But that’s not all. Providing great after-sales services will lead your customers back to you. That could just be a flexible return policy. Or, if you own a guitar shop and you sell a cheap Spanish guitar, chances are that the buyer is a beginner. Surprise him with a short tutorial video for simple chords a week after purchase. Send an email six months after purchase with a discount for new guitar strings. It’s all so obvious, right? In this case, you just have to keep in mind that the obvious probably works. Make sure that your customers don’t forget you. Next to all the things mentioned earlier, it’s absolutely necessary that you need to do your best to deliver the best customer experience possible. Deliver on time, or communicate on time. Treat your customer as you’d like to be treated yourself. Make the customer feel welcome in your online shop’s family! If you have a restaurant and a restaurant website to go with it, you might want to read this article. We have covered a lot of topics on this website already, but we’ve decided to focus a bit more on specific types of websites in a number of posts. In this post, we discuss what you need to keep in mind when planning or building your restaurant website and is for both restaurant owners and web development agencies. First things first: what needs to be on your restaurant website? Your address (and more). This is obviously the most important element: people need to know where you are located. There is more than one way to share your address with your (potential) guests. Photos of the interior. If I’m going to spend my money in your establishment, I want to know I’ll have a cozy evening and a nice table to sit at. Your menu. Not your website menu, but a list of all the food and drinks you’ll possibly serve me at a certain price. Client testimonials. All the good stuff people tell me about your place. A way to make a reservation. Obviously. Now let’s look into these aspects of a restaurant website in more detail. If you add your address to your website, you want to do it the right way. First of all, you want it to be in a spot where everybody can find it without searching for it. That means adding it in a clear spot on your homepage, perhaps repeat it in your footer, and definitely put it on your contact page. On your contact page, you might want to consider adding a route map as well. Don’t just add the address, but mark it up the right way. That means you’ll have to add Schema.org markup to your address. The most obvious Schema.org variation would be… Restaurant. This is actually a subschema of the FoodEstablishment schema, which allows you to add detailed stuff like acceptsReservations, menu and servesCuisine to your address. That is actually a combined effort, I think. It’s a combination of listing the right information the right way on your website, and a good listing in Google My Business. Never heard of Google My Business? Go read and list your website. Ask your visitor to leave a review on your Google My Business, as this seems to help your rankings at the Google map as shown above as well. Nice, huh. Be sure to tell Google as many details as possible and see what they come up with. Like Google My Business, Facebook Places isn’t on your website itself. Still, it will pay off to list your restaurant here. Facebook is improving its search engine by the day, and if there is one place where all your friends have and share their opinion, it’s on Facebook. Besides that, listing your restaurant in the local business category, you’ll be able to allow check-ins and ratings & reviews and that is obviously just what you want! 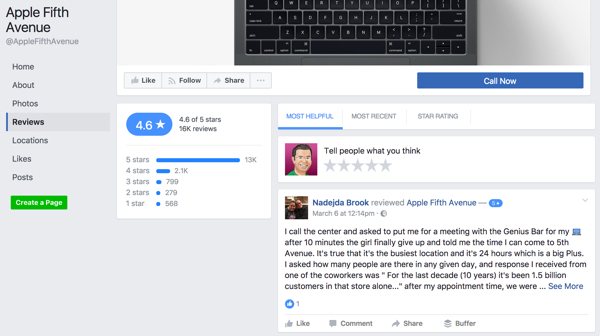 These check-ins and reviews are actually very important, as search results in Facebook are ranked by recommendations and check-ins from your friends. Besides that, “results that are similar to the people, places and things that a person is already connected to may be ranked higher.” All the more reason to list your restaurant on Facebook as well, and ask all of your friends to like, review and check-in to your restaurant. Especially since your restaurant is a local business, adding your website to services like that will also help your SEO, as all of these have a local focus. After adding your website to TripAdvisor, be sure to monitor your reviews on that website. Bad reviews are always a bummer, but not acting on bad reviews might be even worse. Engage with a disappointed guest and see if you can change his opinion to something more positive. Perhaps he just had a bad day, or your chef did. Most bad reviews are mere incidents. If you want to improve your TripAdvisor profile, be sure to read these steps to optimize your restaurant listing on TripAdvisor. From a UX and conversion point of view, showing your interior makes a lot of sense. By showing the visitor in what great environment he or she will be dining if they come to your place, people can decide in advance if your restaurant matches the occasion. If we want to grab a quick bite, a pub-like establishment with wooden chairs and beer will do. If I have the whole evening planned for exquisite food, I might want to see chandeliers, candles, and glasses of wine. It’s all about managing expectations on a restaurant website. If your website’s photos match the mood you want to set in your restaurant, first-time visitors will click to your reservations form and reserve themselves a table at your place. Don’t go cheap on this. You have paid a lot of money to get the interior the way you wanted it, now pay a great photographer to take pictures for your website (and menu/posters/flyers and Pinterest, Instagram and Facebook or whatever you can use these for). If you are looking for insights on how to add these to your website properly, please read my post on image SEO. You spent all these hours coming up with your monthly changing menu, and now you’ve just put the PDF containing your menu on your website as a link. That’s ruining my user experience. I honestly don’t like to click a link on a website, only to find that it opens a PDF. There’s no need for that anymore as well. You can easily put your restaurant menu on a separate page on your website and link it from your website menu. You might still want to add a link to a PDF with the same content at the bottom of that page, by the way. For saving in Evernote, for instance. As mentioned above in the Address section of this article, you could also add a link to your menu page in schema.org, just to top things off. Next to the testimonials in Google My Business, be sure to add some testimonials on your website as well. That could just be one-liners spread across your website, but a decent testimonial will make that reservation easier. If other people like it, you might like it too. We have done an article last year called Testimonials: increase your visitor’s trust you should read. Although that article is mainly focused on e-commerce shops, your restaurant site will benefit from it as well. The main things to keep in mind when using testimonials: make sure they are genuine testimonials. Add the name of the reviewer, preferably a photo as well. And don’t be afraid to list these on a prominent spot on your website. It’s others doing marketing for you. Google lists them, as you can see in the above, so why would you hide these on a single page instead of listing them right below your reservations button? I already mentioned the option to add via schema.org if making a reservation is possible on your restaurant website. Would this have any influence on your rankings? Probably not. But if I need to make a reservation before eating at your restaurant, I want to know. And I want to be able to do this online. Making a reservation online should be easy as pie. Enter your details, get a clear ‘sent!’ message and an email confirming your reservation. What you don’t want (true story) is an email afterwards that the restaurant is closed on the desired day. In my book, I shouldn’t be able to make a reservation for that day in the first place. In conclusion: make sure people are able to make a reservation via your restaurant website, but only when possible and always make sure there is a clear communication afterwards. That concludes this article on how to optimize your restaurant site. If you have (an example of) a restaurant website that nails this, I would like to invite you to leave the URL of that website in the comments! The post How to optimize your restaurant website appeared first on Yoast. 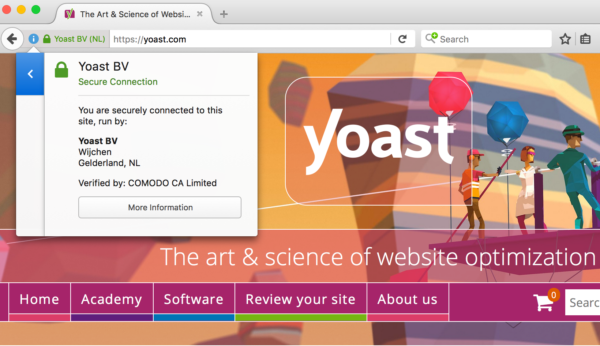 At Yoast, we’ve seen a lot of websites of every caliber. Every website has its own issues, but all websites benefit from optimizing the conversion rate. It really doesn’t matter if your goal is more sales, more Facebook likes or more newsletter subscribers. One thing that helps almost every website, is the right use of testimonials. 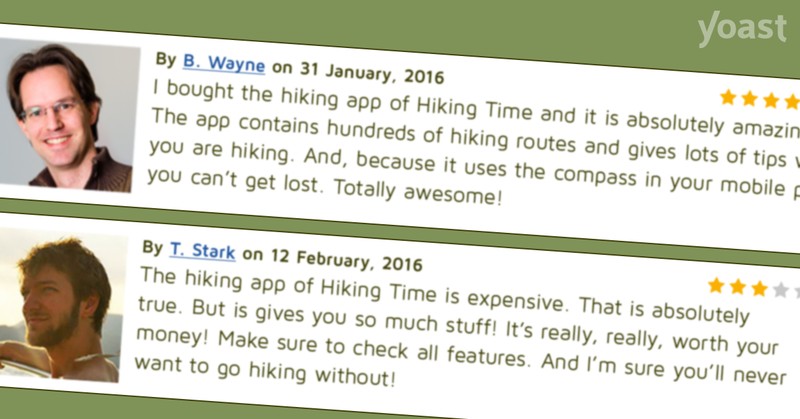 A lot of websites do have testimonials, but just having them simply isn’t enough. Here, we’ll explain how to fully exploit your testimonials and what steps you should take to find out how they work best for you. We’ll start with explaining why testimonials work in the first place! Note: In this post, we’ll use the word testimonials for both testimonials and (product) reviews. We chose to do so because the two are actually the same thing, in our opinion. There’s only one real difference: reviews can be negative. Testimonials are mostly said to work on the basis of social proof. Social proof is a psychological process, which causes people to copy the behavior of others, in an attempt to reflect correct behavior. A well-known person, or at least someone people can identify with, may use a product or service and be blown away by it. When others hear about this, they will interpret that as correct behavior and follow suit. This is the reason influencer marketing is such an effective way to sell your product nowadays. When a celebrity on Instagram uses a product and writes positively about that, people will buy it. Because if an admired celebrity endorses a product, that must mean it is just the right thing for you as well! Social proof, regardless if it’s from celebrities or close friends, contributes significantly to the effectiveness of testimonials. why it worked for the person writing the testimonial. maybe even someone using your 30-day money back guarantee. Let your visitors know that every aspect of your online shop has been successfully used by other people and that they were very satisfied with it! We’ve arrived at a gray area here, where testimonials start overlapping reviews. And in my opinion, that’s exactly how it should be. As soon as they’re overlapping, you’ll get the best of both worlds. Not only will the social proof process kick in, but experience products – products of which it’s hard to predict if they work – can also change into search products – of which it’s easy to predict if they work. In other words: the benefits of your products will become a lot clearer, making it easier for potential customers to purchase them. Testimonials are powerful in creating trust, and not just for online shops. Research confirmed that positive reviews can significantly increase sales. In fact, testimonials were found to be a more important cue for judging the trustworthiness of an online store than the actual overall reputation of that store. That was the case some years ago, and that hasn’t changed. But obviously, you can’t just slap some glorifying texts on your site. 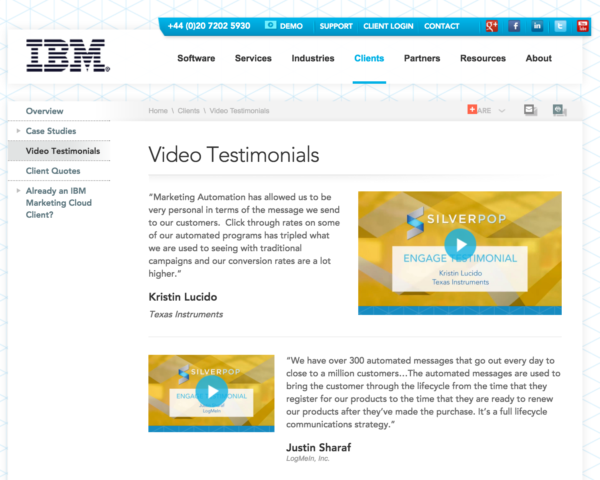 Your testimonials have to earn the trust they evoke. In case of product reviews, even negative reviews can be useful. But only if you can show visitors you’ve adequately responded to the customer who gave the negative review. It’s normal to receive a negative review once in a while. How you react to those negative reviews is important, especially for future customers. This is also precisely why you shouldn’t remove negative reviews or submit fake ones. Your reviews need to look genuine and trustworthy. And they’ll only look real when they are real. Over the past couple of years, storytelling has become all the rage and for good reason. Stories have a positive influence on a customer’s perception of a brand, as well as the willingness to purchase. Stories can affect behavior, given that the story resonates with your visitor. And that’s exactly where it becomes tough. It’s easy to state that “stories sell”. But how would you go about obtaining stories that your audience would feel captivated by? If you offer services or products that are problem-solving, to begin with, this is easy. Just ask a few of your customers to describe the issues they had and how your services or products helped them solve these problems. It’s a totally different story (literally) if you’re selling clothes, for instance. You obviously can’t have customers state “I was naked my entire life until I found this piece of clothing!”. In these cases, you’ll have to get creative and maybe ask customers to write about the – hopefully superior – quality of your products and how they last longer, for instance. And if you offer a clothing brand that’s sold in other online stores as well, let your customers write about why they’re using your shop in particular. Is it your superior customer service? Your site’s excellent usability? The speediness of delivery? Have your customers write about this. 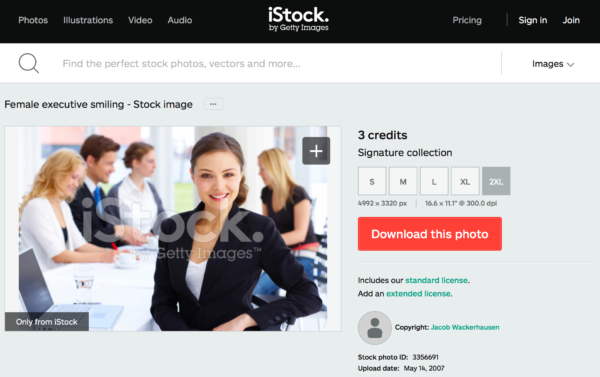 Photos are almost considered a “sure thing” within internet marketing and CRO circles. In fact, research from just a few years ago showed that the use of pictures increased the perceived trustworthiness of a statement. According to the results, it doesn’t even matter whether the picture is relevant, or the information next to the picture accurate. While I think these are cool findings, I don’t believe it is always this simple and depends highly on your audience. To make matters worse, there are studies that found photographs increase the perceived trustworthiness of poorly performing vendors only, and decreased that of vendors with a good reputation. Furthermore, there are differences in reactions to images between cultures, which means you might actually have to make use of different tactics for different continents, if you’re selling globally. As you can see, science isn’t really definitive about the use of photos. And the downside of all these studies is: they’re not specifically about testimonials. At Yoast we always recommend using photos with testimonials, because it appears to add to the credibility of those testimonials. But the best way to go would be to test if adding photos lead to better results of your site. With testimonials from influential people, the product will be perceived as better or more trustworthy. As you’ve read, this can even transfer to your entire brand. Obviously, there’s one major criterium for this: the person would have to be considered an influential person in the field you’re offering products or services. If we were to receive a great testimonial for our Yoast SEO Premium plugin by Miley Cyrus, it probably wouldn’t carry much weight with the people we’d like to influence (agencies, website owners). Nevertheless, I’m sure a lot of people would install the plugin, but perhaps not for the right reasons. You get my drift. Over the years, we’ve noticed that quite a few of the websites that do have testimonials, just don’t place them prominently. Testimonials are great. But if they’re only on the testimonial page and nowhere else, odds are not a lot of people will find them. So you need to put them on pages where people will find them. On your landing pages and near call-to-actions would probably be good spots. If you read this article up to here, you probably agree that all this makes perfect sense, right? So stop just having testimonials, and start using them! Is there anything we missed? Or do you have something else to contribute? Let us know in the comments. Thanks!